From the Land of the Pharaohs. The finest treasures from Ancient Egypt. 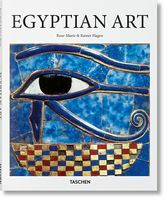 The art of ancient Egypt that has been handed down to us bears no names of its creators, and yet we value the creations of these unknown masters no less than the works of later centuries, such as statues by Michelangelo or the paintings by Leonardo da Vinci. 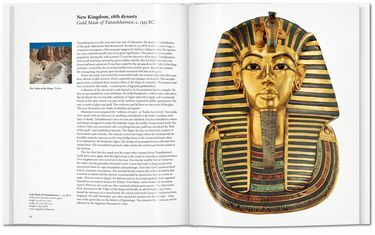 This book introduces some of the most important masterpieces, ranging from the Old Kingdom during the Third millennium BC, to the Late Period in the 9th century BC. The works encompass sculptures, reliefs, sarcophagi, murals, masks, and decorative items, most of them now in the Egyptian Museum in Cairo, but some occupying places of honor as part of the World Cultural Heritage in museums such as the Louvre in Paris, the British Museum in London, the Egyptian Museum in Berlin, and the Metropolitan Museum in New York. 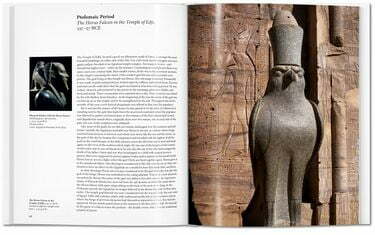 Featured works include: Seated statue of King Djoser. Wood relief of Hesire on a dining table. Statue of a scribe made of various materials. Funerary relief of Aschait. Sphinx of Sesostris III. Robed statue of Cherihotep. Reliefs from the Temple at Carnac. Sarcophagus of Queen Hatshepsut. 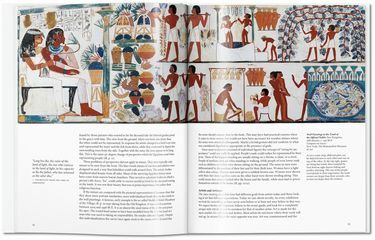 Murals from Thebes. Seated figure of the goddess Sachmet. Statue of Queen Teje. 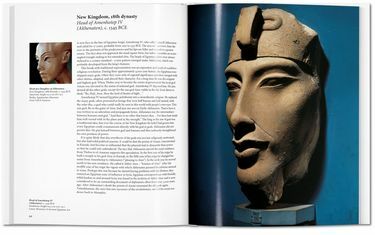 Head of Akhenaten (Amenophis IV). Queen Nefertiti. Golden mask of Tutankhamun. Ramses II from Abu Simbel. Horus falcon made of granite. Stone relief from the temple ambulatory at Edfu.